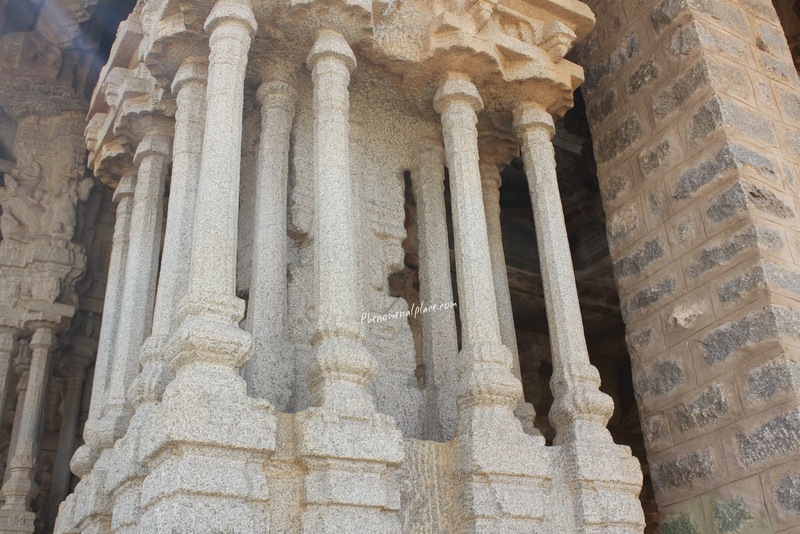 Musical Pillars at Hampi, India - How Do They Work? Rock Melting Technology & Cymatics? 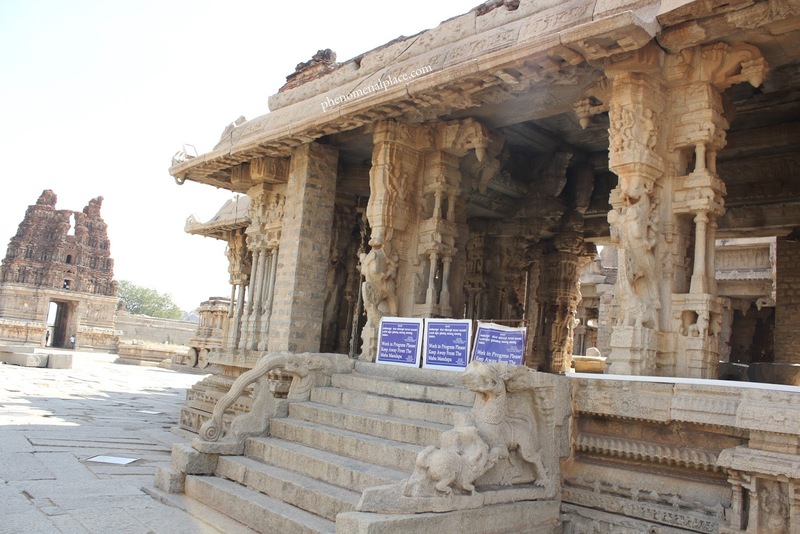 The Vittala temple at Hampi is known for its mysterious musical pillars. The pillars create a variety of different music and sounds, perplexing archeologists and scientist. You can watch the video below or read on. 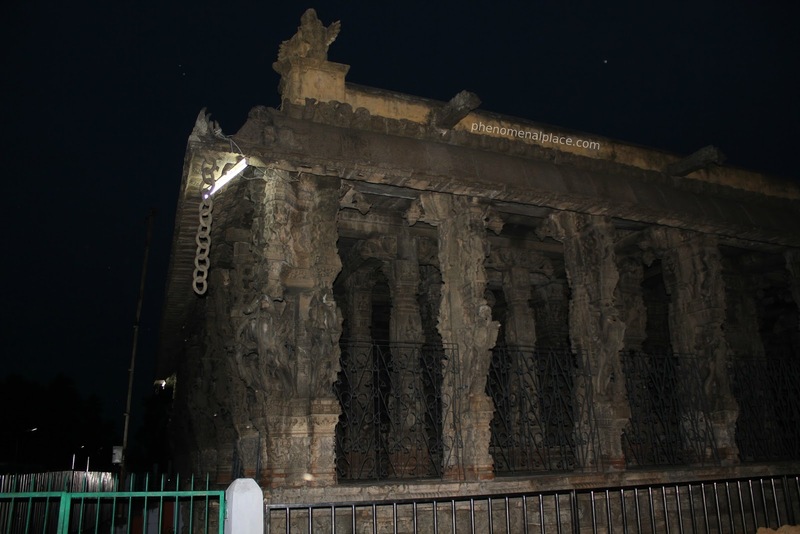 This structure, called the musical hall is now closed for renovation. However, I managed to get the actual sounds from these pillars. Here is a pillar which shows a man playing ancient drums. If you tap this, you will hear the sound of these drums. Now, here is the sound of a temple bell. And here is the sound of a school bell. Now, you can combine various sounds to create even modern sounds, for example, this is the combination of the temple bell and school bell to create the modern day door bell. How do these different pillars create various sounds? 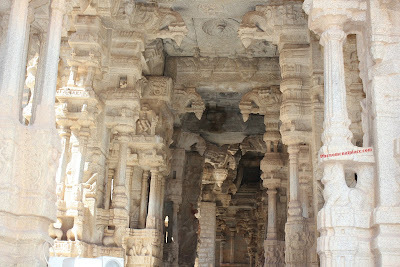 But this is nothing, when you take this pillar that is made of one stone and has small columns carved onto it. However, if you tap on them, they create the seven notes of the musical scale in Indian classical music which is similar to do, re, mi, fa, sol, la, ti in the western world. 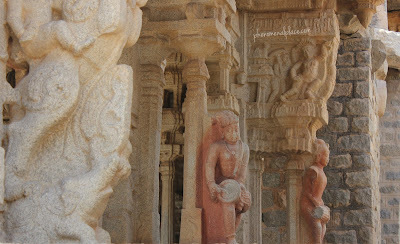 What kind of stone technology existed in ancient India that could mimic the sounds of musical instruments? We can see many, many different sounds of advanced ancient instruments like 'Jal Tarang', which uses water waves, 'Ghatam' which uses terracotta pots, and even sounds of string instruments are created on these pillars. 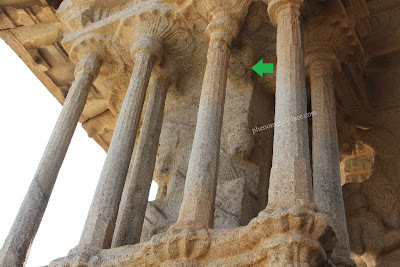 How do these pillars, made of the same material, which is granite create these various sounds? Is it possible, that the ancient builders, somehow created holes inside these pillars. Because the only way to make different sounds from the same material of the same size is to alter its density. So do these pillars have holes inside them, that creates various sounds? The British had the same question in mind, and they not only took a huge pillar like this one but also cut one of the small columns to see what was in it. Here you can see the column that is missing, this was cut by the British during pre-independence in 1930s. And they were surprised to find that all these pillars and columns are just made of solid rock. If they are all of the same dimensions, same material, and don't have holes inside, how do they create different musical sounds. The only way this could be achieved is by changing the intrinsic density of the pillars, by adding a new material to it in different proportions, like modern day alloys. Today, we melt various metals and add them in different ratios to create the desired effect. However, did ancient builders melt solid blocks of granite and mix it with other materials to create different sounds? Locals argue that the musical pillars were created by rock melting technology. 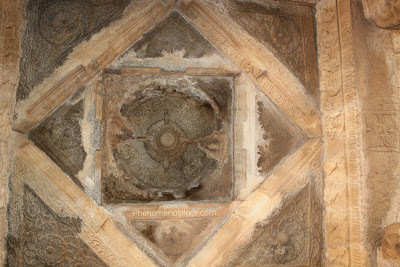 As evidence, they say that chains made of rocks were hooked to these corners on the ceiling. Now, this would be impossible without melting the rocks. 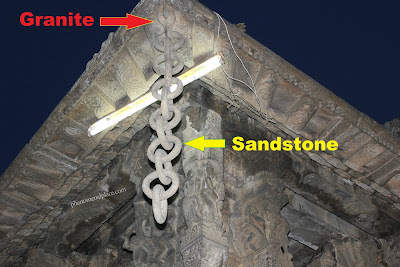 These rock chains were later destroyed during foreign invasion just like the temple tower. A chain made of solid rock - is something like that even possible? 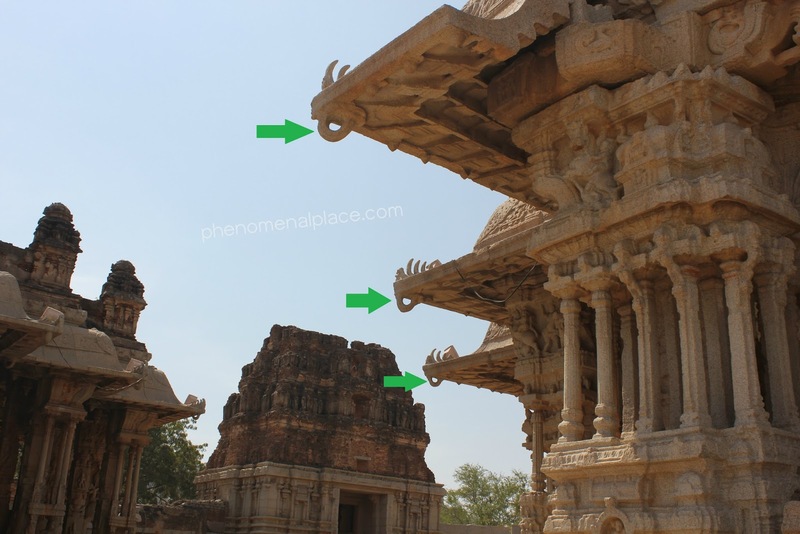 Why do these corners of Hampi temple have empty hooks? 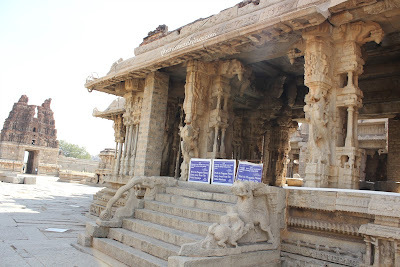 Based on a tip, I traveled to Kancheepuram, which is 300 miles from Hampi. And here, we can see the chains hanging from the hooks on the corners. Yes, these chains, with many links, are in fact made of stone! Archeologists have confirmed that these are made of stone and were created at least 700 years ago! How could anyone create these stone chains with primitive tools? Even today, such a technology is not possible with modern machines. What kind of machines were used in ancient times and how were they able to create these chains made of rock? But this is not the main problem. 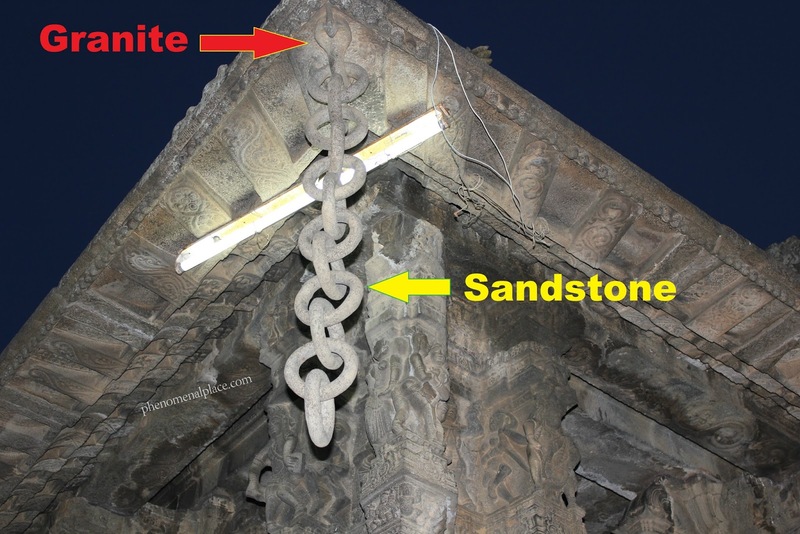 The problem is that while the stone chains are made of sand stone, the ceiling is made of granite blocks. So, how could they connect 2 different types of rocks at this junction. We know for a fact that this is impossible without melting the rocks. There is no way to connect 2 different materials using links unless one of them is melted. So, these rock chains prove that the ancient builders did in fact melt the rocks and changed its density like modern day alloys. Now, let's go back to the musical pillars of Hampi. We can be sure that the rock chains were once hanging from the ceiling of the musical hall, otherwise there is no need for the hooks. Now, to create musical pillars, we not only require rock melting technology, but also enormous understanding of sounds. Did ancient builders have a much deeper understanding of sound, just like modern day scientists? Today, we use a technology called Cymatics to understand sound and vibration. When struck with different musical notes and vibrations, different geometric patterns emerge. Is it possible that the ancient builders were also using Cymatics? 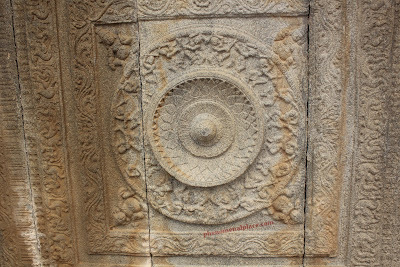 And more importantly, are these patterns carved in the temple of Hampi? 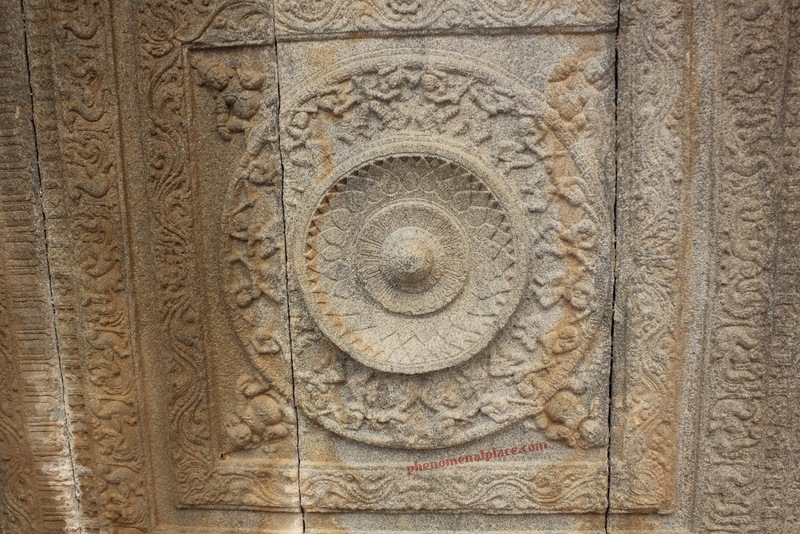 Here, you can see cymatic patterns carved on the ceiling of the Hampi temple. These carvings clearly resemble the patterns similar to the musical notes. Each musical note creates a certain pattern, and the ceiling of the musical hall is full of varying patterns. Even better, these carvings show sound in 3 dimension, and today we can create 3 dimensional cymatic patterns of the same sounds using holograph. Is it a coincidence that these cymatic patterns are carved all over the ceiling of the musical hall? Why else did the ancient builders take enormous pains to create these varying patterns on the ceiling? Even more interesting, the musical hall is closed because people have damaged it by tapping the pillars with keys and coins, while in ancient times, musicians exclusively used sandalwood sticks to tap on these pillars. And if you look at this Cymatics pattern closely, we see exactly what is going on. The women are standing in a circle, tapping with sticks and the sound they create is visually depicted in the center. Let's go into the main chamber of the temple, to see if we can find more evidence. This place is completely dark and infested with bats, but it once housed the idol of Vittala, the main god of the temple. The idol is gone now, but on the ceiling, you can see a very large cymatics pattern. What is the need for carving such elaborate patterns on top of the idol in a dark chamber? So, what do you think? How do these pillars create music? Did ancient builders use rock melting technology to alter the nature of rocks? How else can we explain these rock chains made of sandstone linked to the granite hooks? How is this link possible, without rock melting technology? How could one rock with columns of same dimensions produce 7 different notes? Why are these various cymatics patterns carved on the ceiling of the musical hall? 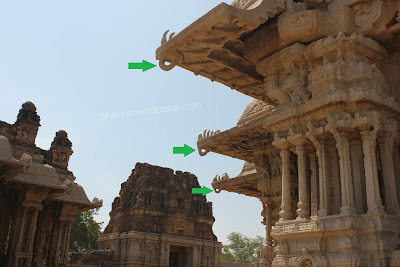 In my previous videos, I showed you evidence of advanced machining technology and even the use of telescope in ancient India. How were these possible, without the use of advanced technology? Please let me know your thoughts in the comments section. Fantastic temple, thank you for your video! I can't imagine the rock material was melted, this would alter its structure into a kind off volcanic like stone. Instead, I could think of pulverization, addition of special materials and subsequent concretization. After decades or centuries the result might be indistinguishable from natural rock. These things were created by an advanced civilization in a time when things were very different. Watch the videos make the connections. Pravin Mohan ji I have seen a couple of videos from you tube. An excellent job. Please keep on going. S K Mishra. Excellent post Praveen Ji Keep motivating us with all such interesting facts. we are proud of our ancient cultures and it is matter of pride for all of us. This is simply excellent that we do not know since centuries the greatness of our ancient masters. The invaders who have looted the country, and left behind the remnants of our great civilization, and technical know how. The westerners and Europeans have been intelligent in learning the sanskrit language, and utilizing our ancient know how available in the scriptures, but we poor Indians are not paying attention unto these things. I think this is the time we have to look at these things seriously, and create the attitude in our children's minds also. Your are doing great job. Wish you all success. All the best.